Today, on Sunday, Hamal 18th, State Minister, Ghulam Farooq Wardak received a group of new elected members of Wolasi Jirgah at his office. 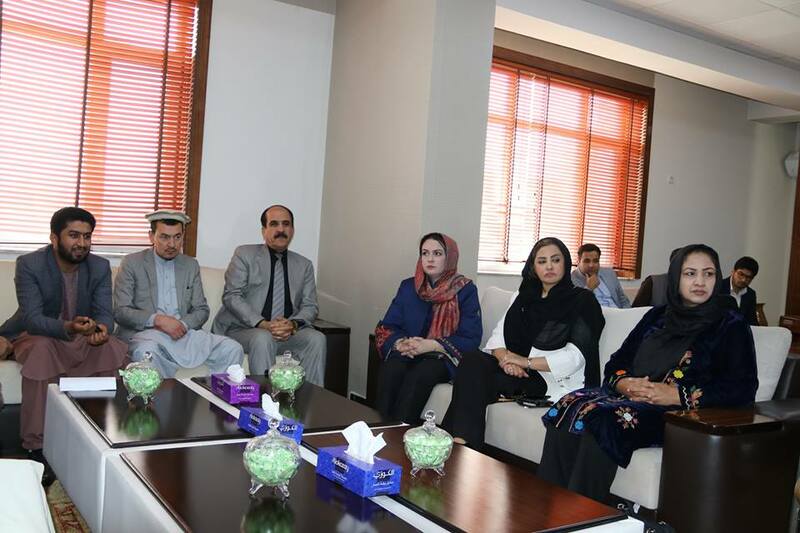 During the meeting, besides warm welcome, State Minister expressed hope that with these newly elected members, relations between the 3 pillars in particular among the legislative and executive will get more confident and efficient. In response, the new members also gave full assurance about their constructive role in all the related issues in connection to the country’s development era. They strongly insisted on their patriotic stand and expressed that national interests are their red lines. The members also repeated their promise that they will never put the voter’s confidence into any deal and they will not allow any body to be against the country’s development act.